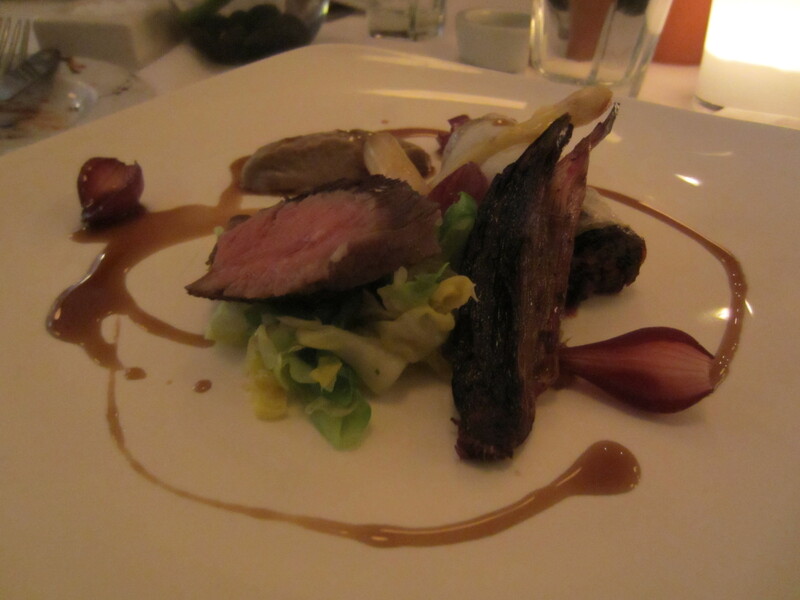 The Chancery is one of those places with glowing reviews, highly praised for good value fine dining. What luck I had when I saw it appear on “tastecard” offers and decided to book for my birthday last year. Hidden behind the backstreets of Chancery Lane Main Street. The restaurant has simple white wash walls to flood natural daylight. Dining tables draped with pure white cloths. There was a 3-course meal on offer for £39.50, however when we got there the menu had change. The manager kindly told us we could have something similar. 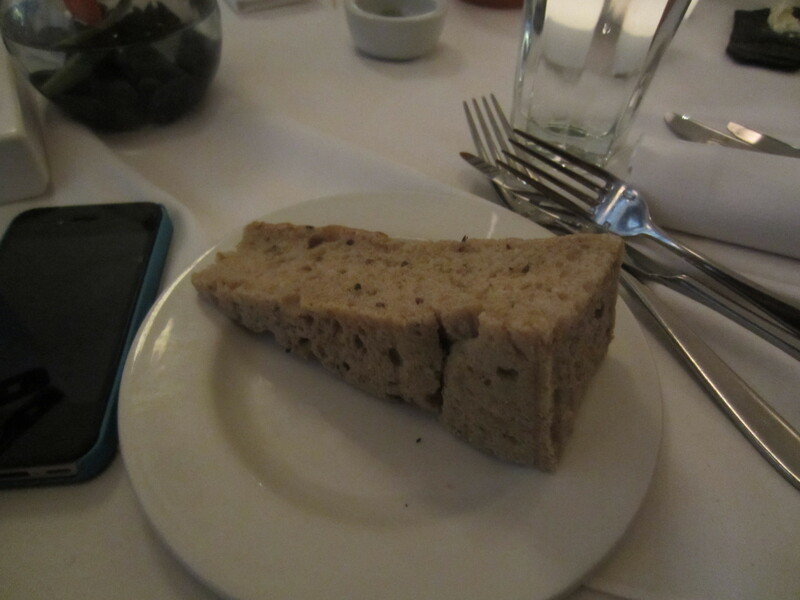 The bread was delicious with the salty creamy butter, for starters most of us picked smoke cod dish. 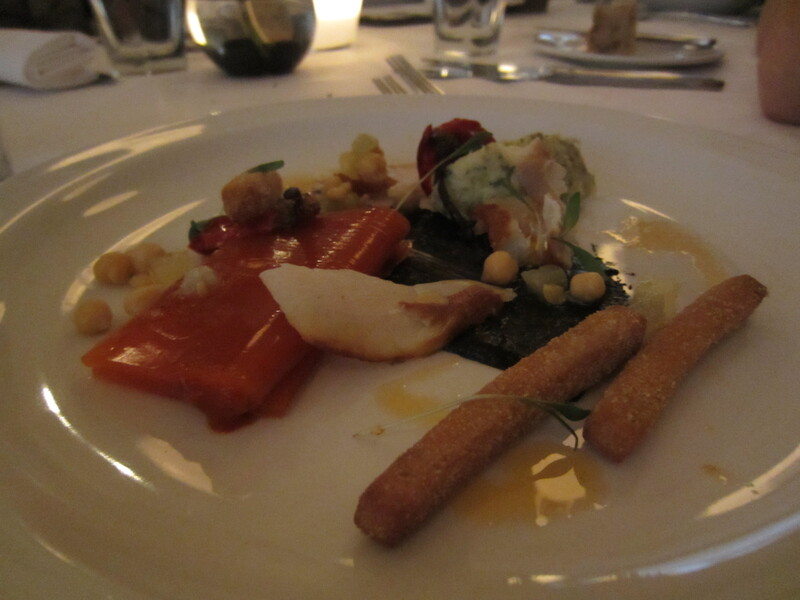 The dish was beautifully presented, garnished to create a good textures and different parings of flavours. 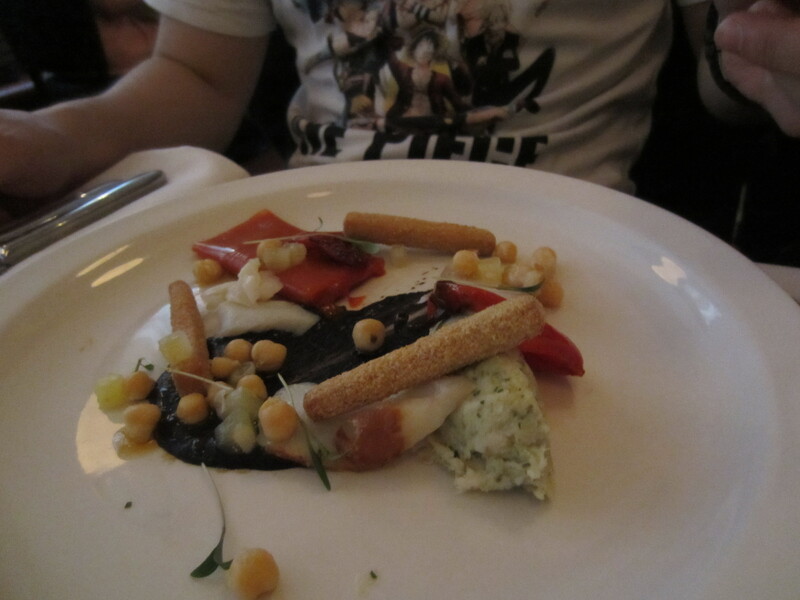 The dish consisted of cod brandade, smoke cod, roasted baby peppers, chick peas and red pepper ketchup. For mains I picked the beef dish, slices of slow cooked beef on top of a bed of cabbage with button mushroom puree, and smoked shallot. The beef came medium rare, meaty with a slight chewiness. The stand out of the meal, had to be the pineapple cheesecake. 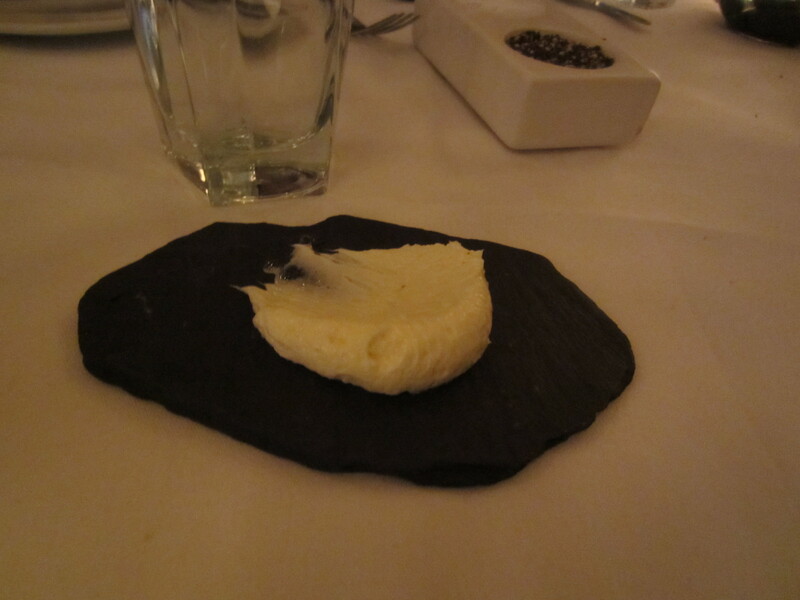 Masterfully executed with the pleasant surprise of the pepper flavours of black olive and basil. The sorbet was tangy, zesty and fizzy, and the pineapple cheesecake was sharp. Overall food was very good, and great value for money. Ingredients are top quality and the menu is creative. 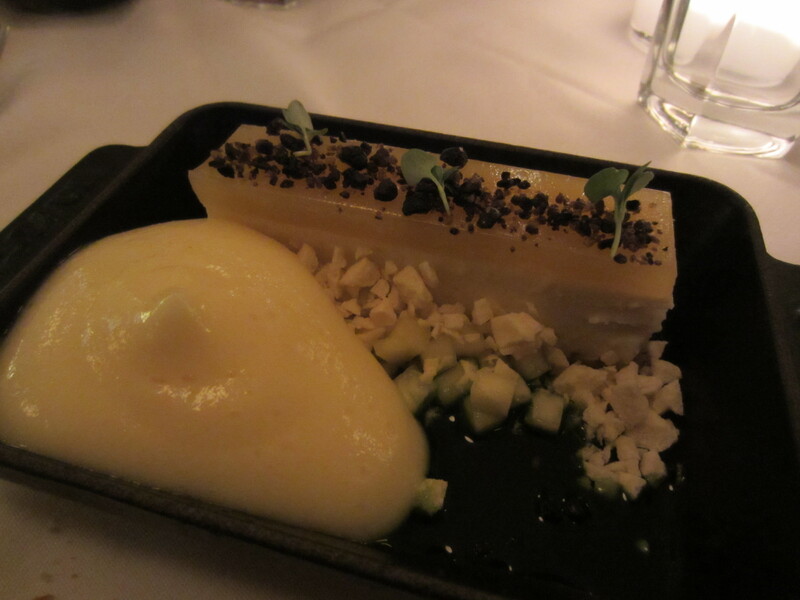 Food is beautifully presented; the downside was I had a phone call 2 days later after my meal to settle my bill. The restaurant seems to not have a record of me, paying two meals in cash in hand and why would they do their accounts 2 days late? That experience alone has put me off from going back.